educate ourselves on which candidates to vote for in the November 6 election — surely one of the most significant of our life time. Before I get into the real content of this post, let me assure you — my loyal readers — that I will refrain for a while from naming posts after popular songs. This one is inspired in name only by a great song from American Idiot, Green Day’s rock opera from 2004. Recently, I’ve borrowed songs made famous by U2 and a gem sung by the “countrypolitan” genius of Glen Campbell. I’ll stop. For a while. Onto the serious stuff. On this last day of September, every American who is eligible to vote — as well as every American of sound mind and possessing a conscious — needs to commit to making a difference in shaping the national agenda in the weeks to come. I assure you, it won’t take all that much time; yes, you’ll have plenty of time to watch football, rake leaves and accomplish all the regular stuff done in fall. This link takes you to the Barack Obama campaign web site. This link takes you to the Mitt Romney campaign web site. Visit both. Read and absorb where the candidates stand (at least as of today) on key issues facing our nation. Determine what will drive your decision on November 6. It could be energy or education, taxes or overseas trade policies. Everyone’s concerned and immediately impacted by jobs, the economy and healthcare, so make sure you know where the candidate’s stand on these three issues. Talk to friends and family about the upcoming elections and the discuss the background, records, history and accomplishments of the two men running for President of the United States. Listen to those who have differing opinions. Pay some attention to the professional pundits, the vast majority who are clearly partisan red or partisan blue. And, it’s probably best to hit the remote button when a television ad — and there will be lots and lots of them — bashes one guy but fails to offer anything positive about their guy. Understand that political campaigns do incorporate “public relations” in crafting communications strategies and tactics, but attack ads don’t qualify as effective public relations. I’m sure there are a lot of people who’ll debate me on the this contention. Watch the televised presidential and vice presidential debates. The first one is Wednesday, October 4. Fact: There’s a body called the Commission on Presidential Debates that organizes these things. 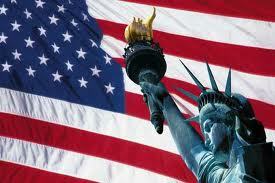 Read your local newspaper and visit politically-oriented websites and blogs for their opinions on the candidates. Take this new-found insight, make a decision and please vote November 6. Employ the above to also become familiar with the congressional and other elections in your state, county and municipality. Google will help you find local election information. 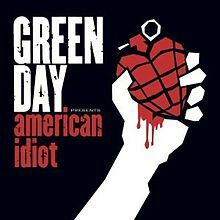 The Green Day song that inspired the title to this post was part of a body of songs that based on a period in the life of an anti-hero named Jesus of Suburbia. Critics, of course, have dissected the meaning of the work, and like all good art it’s open to interpretation. The same goes for what you’ll learn about candidates running for office this fall: Everything is open to interpretation. So wake up, because September ends in just a few hours. This entry was posted in Uncategorized and tagged 2012 Presidential Election, American Idiot, Barack Obama, GOP 2012 Presidential race, Green Day, Mitt Romney, Public relatins, vote, Wake Me Up When September Ends. Bookmark the permalink.